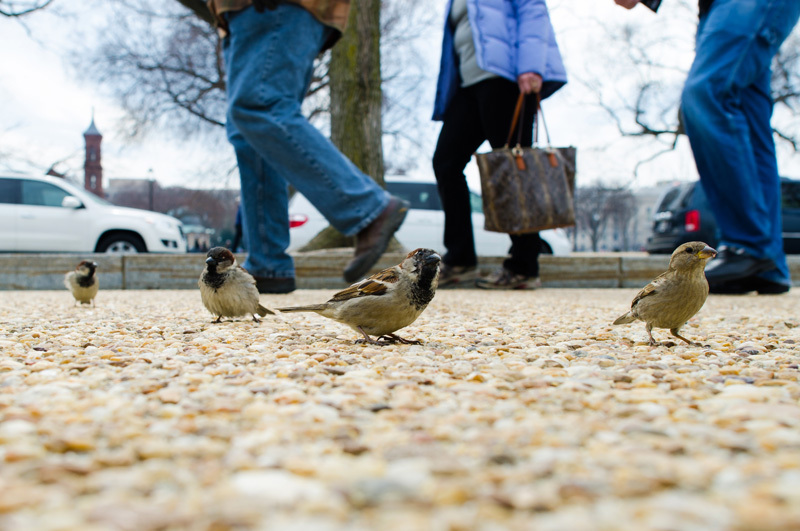 Sparrows beg me for crumbs outside the Smithsonian National Museum of Natural History in Washington D.C., flanked by passersby. Taken on March 2, 2014 with a Nikon D7000 and accompanying Nikkor 24mm f/1.4G ED lens at f/5.6, ISO 100. Uncategorized | National Mall, National Museum of Natural History, Smithsonian, sparrow, tourist, travel, urban, Washington D.C.